Most people say cooking is easy, actually, it is not! It becomes easy only if you have the right kitchen Utensils Tools & Gadgets. If you consider the ways on how our ancestors cooked, you will understand that they did not have any modern kitchen utensils like nowadays. So, they had to spend a lot of time in the kitchen to prepare one meal. But now, thanks to the internet people can purchase the best, cleaver and top-rated all kitchen gadgets from Amazon, Ali express or a kitchen accessories stores near you. Hence, people don’t need to spend a lot of time in the kitchen just for one meal. Maybe you have to rush for work or do some other important things, but you can’t just skip food and eat junk every day, so it is important to cook and also to save time. The only option you have in order to save time in the kitchen is finding and choosing the right utensils. You must look for kitchen tools & gadgets that will minimize the tedious prep time. So, BeOnTrack would like to mention 50 essential kitchen tools & gadgets that will help you spend less time while saving your energy. Let’s begin! The Immersion Blender is one of the multi-use, easy-to-clean, compact kitchen utensil that will make your life easier. You wouldn’t have to spend hours to prepare your smoothie if you have this product in your kitchen. This portable blender will precipitate the steps of emulsifying, beating, whipping, and pureeing the ingredients. So, you don’t have to spend time doing one step at a time. Have an Immersion Blender in your kitchen tools list this will definitely save a lot of time for you. Breville BSB510XL Control Grip Immersion Blender. 500W Fixed Speed/Variable Speed Immersion Blender Juicer Professional Food Mixer. Braun MQ505 Multiquick Hand Blender, Black. The Panini press is not only for Panini but also a multi-purpose kitchen utensil. With different cooking options, you can prepare many foods including pancakes, hamburgers, steaks, and Panini. The options with the heat control is another advantage in this product. However, how can you save time using this product? As this is a product with nonstick plates you wouldn’t need much time to clean up, so it will save time. Also, this multi-purpose product will make cooking easier. Hamilton Beach 25460A Panini Press Sandwich Maker, Medium, Stainless Steel. Williams Sonoma Breville Chef Panini Perfect Toasted Sandwich Press Grill. Breville BSG520XL Panini Duo 1500-Watt Nonstick Panini Press. Cuisinart GR-4N 5-in-1 Griddler, Silver, Black Dials. If you compare dehydrating and canning, obviously, dehydrating takes less time. No sterilizing. No belching. Nothing. If you know the dangers of canning you wouldn’t prefer it at any cost. However, with the help of this kitchen utensils, you will be able to save time because you just have to place the food on the tray and turn on the machine. Until it’s done, you can engage in other activities. Amazing, right? You can save time without much effort. 5 Tray Electric Food Dehydrator Fruit Vegetable Dryer Beef Snack Jerky White. Ivation 6 Tray Digital Electric Food Dehydrator Machine 480w for Drying Beef Jerky, Fruits, Vegetables & Nuts. 30 Layer Commercial Professional Fruit Food Dryer Stainless Steel Food Fruit Vegetable Pet Meat Air Dryer Electric Dehydrator (Industrial). This is the ideal cooking utensil manufactured for thick items such as puddings, pastes, pie fillings, and sauces. Most spatulas are manufactured in a way to fit the cans. As it is quickly accessible you wouldn’t have to struggle pulling it out of the can, so there you can save time. And then, you can save time while removing the products from the can. Award-Winning Professional Grade 3-Piece Black Silicone Spatula Set By DI ORO. Kitchen Silicone Cream Butter Cake Spatula Mixing Batter Scraper. Stainless Steel Butter Cake Cream Knife Spatula Smoother Pastry Cutter Tools DIY. GLOUE spatula-4pcs Silicone Spatula Set. You wouldn’t prefer a water dripping salad, right? More than a water dripping salad, cleaning the greens is the hardest task. You might have to spend a lot of time on it. So, this is a life-saver for anyone who doesn’t want to spend too much time in the kitchen just to prepare a salad. This product has a strainer attached to a bowl. Lid attached to the bowl will spin off the water in the greens. So, it will obviously, save a lot of time. Westmark German Vegetable and Salad Spinner w Pouring Spout & Handcrank, Green. OXO Good Grips Salad Spinner. Multifunction Jumbo 4.5 Quart Salad Spinner. You will be able to save time as it has the feature of high temperature. You will be able to cook quicker than the usual time. Also, you can cook many things concurrently which saves time. For example, you can have different items on different tiers. VonShef Premium 2 Tier Bamboo Steamer with Stainless Steel Banding Includes 2 Pairs of Chopsticks and 50 Wax Steamer Liners. Bamboo Steamer Set with 2 Basket and 1 Lid Kitchen Cookware Fish Dim Sum-Rice. 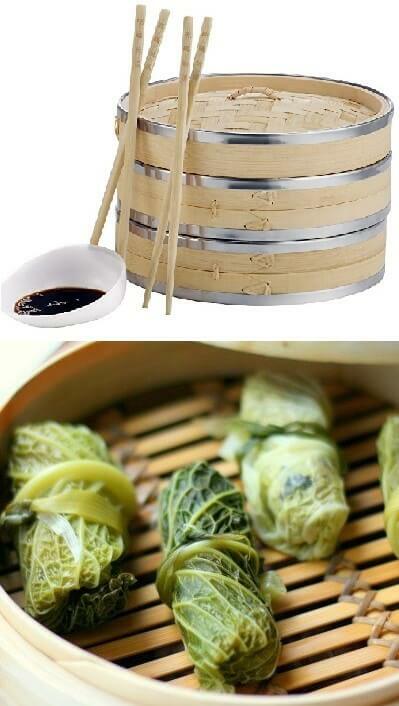 2 Tier 8 inch Bamboo Steamer Dim Sum Basket Rice Pasta Cooker Set with LidOXO Good Grips Salad Spinner. Zoie + Chloe 100% Natural Bamboo Steamer Basket – with Bonus Reusable Cotton Liners. 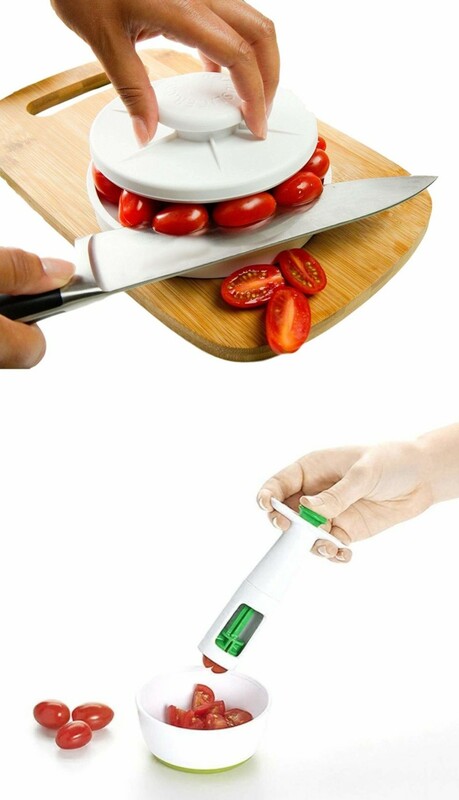 This is one of the great kitchen accessories because you will be able to cut whatever the vegetables you need. Instead of a knife, you can opt for this and it is easier and quicker. Make sure to wash in between. MAIRICO Ultra Sharp Premium Heavy Duty Kitchen Shears and Multi-Purpose Scissors. LAOA 7/8″ SK5 Stainless Steel Kitchen Scissors. 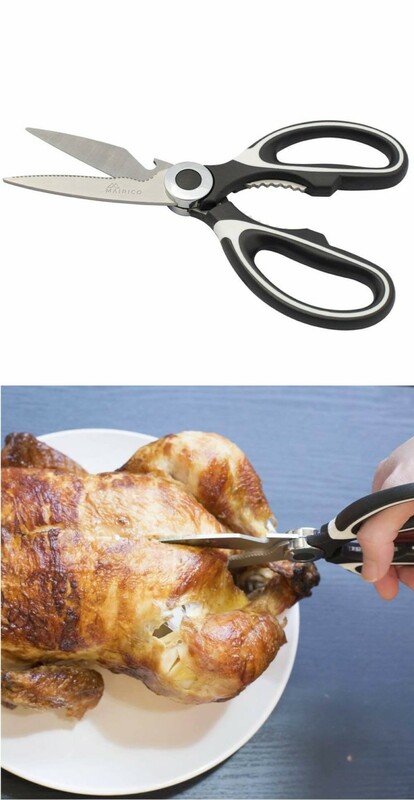 Kitchen Stainless Scissors Chicken Bone Heavy Duty Meat Cut Poultry Fish Shears. If you had to peel potatoes with a knife, can you imagine the struggle that you will undergo? You will have to spend 20 minutes to peel a few potatoes. This kitchen tool is handy when you consider the above situation. You will be able to quicker than you peel when using a knife. OXO 20081 Peeler, Swivel, Black. Spring Chef Premium Swivel Vegetable Peeler. 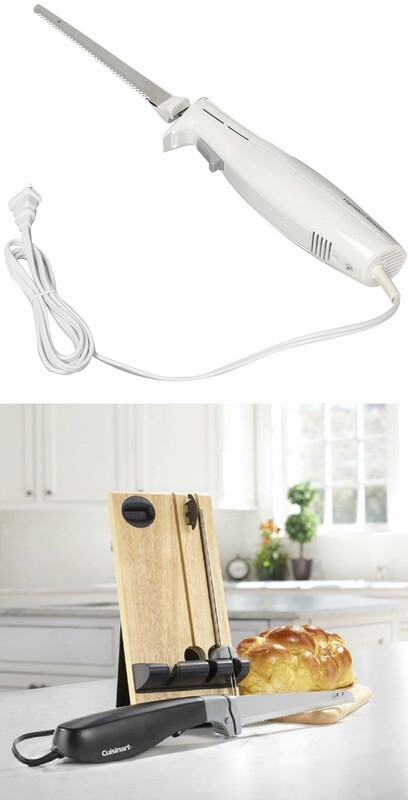 This is one of the must-have product for your kitchen, this will ease your work. You will be able to save time if you use this product to cook rice then using the stove. Aroma 6 Cup Cooked Simply Stainless Nonstick Countertop Rice Cooker Pot, White. Aroma Housewares 20 Cup Cooked (10 cups uncooked) Digital Rice Cooker, Slow Cooker, Food Steamer, SS Exterior. Aroma Housewares 6-Cup (Cooked) (3-Cup UNCOOKED) Pot Style Rice Cooker and Food Steamer. 1L Electric Mini Rice Cooker Used In House 110V 220V Or Car 12V 24V Enough For Two Persons. Although this is a pancake batter mixture you can also prepare cookie, muffin, waffle, and cupcake batter. 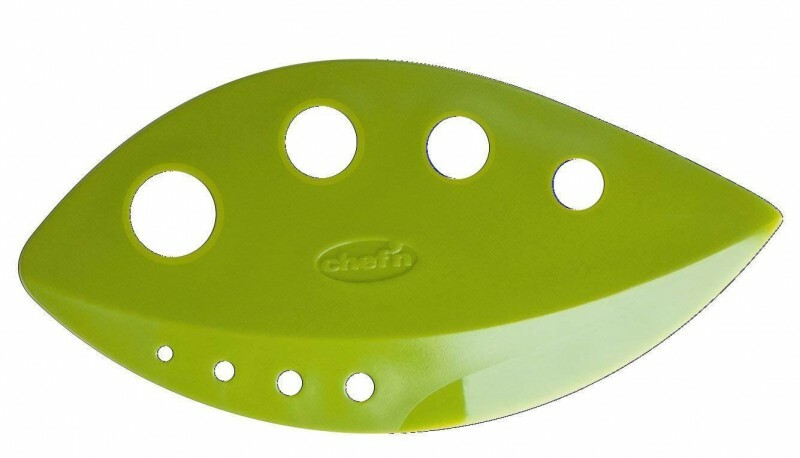 This multi-functional tool reduces the mess created when making pancakes or any other items mentioned. You have to add all the ingredients and then, click the start button so it will automatically mix the ingredients and you will get the batter to make pancakes. Thus, you can save time while reducing the mess that you usually create. Pancake & Cupcake Batter Dispenser. Manual Pancake Batter Dispenser Perfect Cupcakes Waffles Mixer Mix Breakfast New. Want to prepare a breakfast super quickly? Here is a perfect tool for you. This is a compact, small, and a multi-use tool that is suitable for dorm rooms and small kitchens. 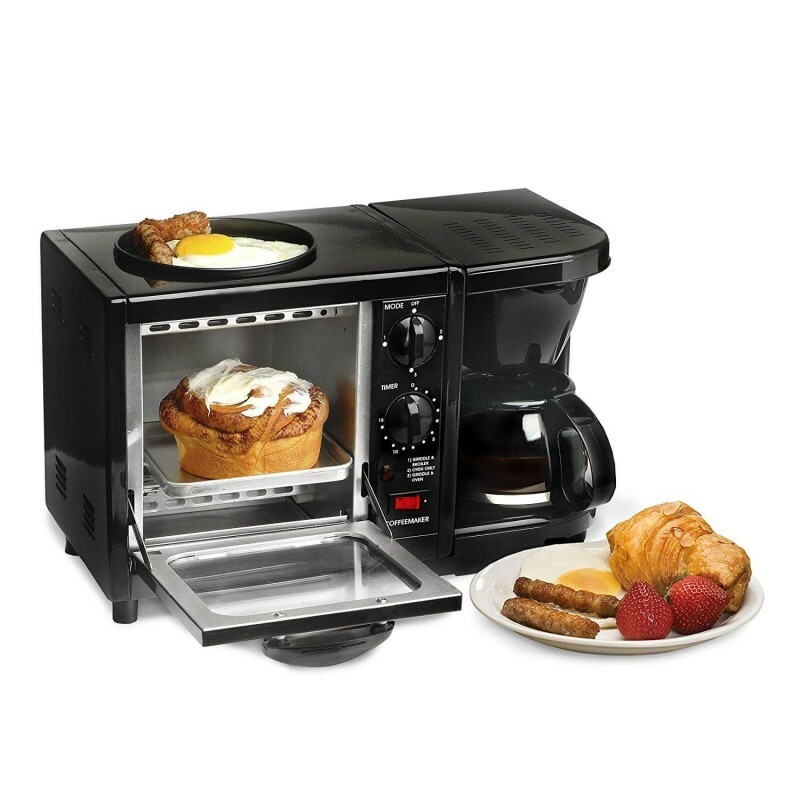 You can brew coffee, warm biscuits or toasts, along with fried bacon with the help of Elite Cuisine 3-in-1 Breakfast Center. This will save your time because it is easy to clean, you don’t have to take too many appliances, and also it is compact. Elite Cuisine EBK-200B Maxi-Matic 3-in-1 Multifunction Breakfast Center, Black. Nostalgia Bset100Bc 3-in-1 Toaster Ovens, 2 Slice, Bisque. 12. Adjustable Over-The-Sink Cutting Board. You already know that you waste time to wash, drain, and shift the vegetables to the cutting board. The adjustable Over-The-Sink Cutting Board is a fancy tool that saves a lot of time because the extended board will fit your kitchen sink perfectly; thus, you don’t have to spend time in transferring vegetables (But make sure to check your kitchen sink size before purchasing the board). Also, this is easy to clean. 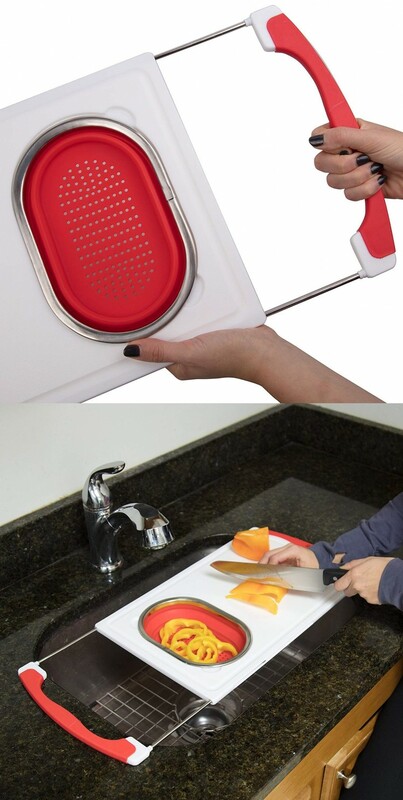 Over the Sink Cutting Board with Collapsible Colander and Extra Long Extension. If you are using your hand to squeeze the juice you will have to spend some time and energy as well. Instead, you can use this kitchen tool. You just have to place the half of the lemon in between and press the handles smoothly, then, it will squeeze the juice pretty easily and quickly. Zulay Premium Quality Metal Lemon Lime Squeezer – Manual Citrus Press Juicer. 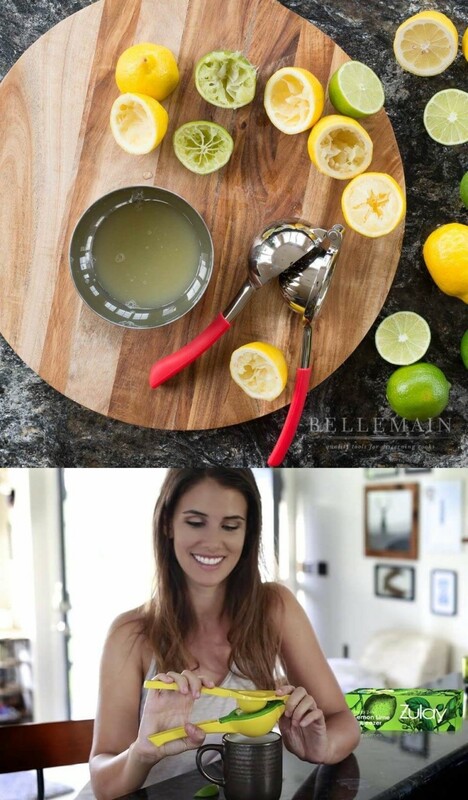 Bellemain Premium Quality Stainless Steel Lemon Squeezer with Silicone Handles. 14. Leafy Greens and Herb Stripper. If you want to have a healthy breakfast you would opt for veggies. But, it takes time to chop and make a veggie salad. Hence, this tool can help you handy because it strips from stems to leaves in a short time. This tool can be used to cut collard greens, Kale, and also chards. It is apparent that you can save time. Chef’n LooseLeaf Kale, Chard, Collard Greens, and Herb Stripper. This is an important kitchen item for every kitchen. If there weren’t a blender people should more than two or three hours to prepare a meal. So, this product quickens the process because you don’t have to use your hand to mix or blend, rather you can use the blender. The electric blender will blend in seconds, so don’t have second thoughts in purchasing a blender. Oster Pro 1200 Blender with Glass Jar plus Smoothie Cup & Food Processor Attachment, Brushed Nickel. Ninja Smart Screen Blender with 1000-Watt Base, 4-Auto-iQ Programs, Touchscreen Display, Total Crushing Pitcher, Recipe Book (CT650), Black. Magic Bullet Blender, Small, Silver, 11 Piece Set. 380ml USB Rechargeable Blender Mixer Portable Mini Juicer Juice Machine Smoothie Maker Household Small Juice Extractor New Drop. Germany technology BPA Free 3HP 2200W Commercial Blender Meat grinder Mixer Powerfull Food Smoothie Fruit Blender juicer. You don’t have to spend hours to roast a chicken because usually, you have to turn the other side once one side is done if not it will be ruined. Not only ruined but also your time will be wasted. So, this sheet pan grid is an excellent solution for such a problem. You can roast the chicken without making the effort to turn sides with this kitchen gadget. hence, it saves time. KITCHENATICS Professional Grade Stainless Steel Cooling and Roasting Wire Rack Fit Half Sheet Baking Pan for Cookies, Cakes Oven-Safe for Cooking, Smoking, Grilling, Drying – Heavy Duty Rust-Proof. New Star Foodservice 36893 Commercial 18-Gauge Aluminum Sheet Pan, 15 x 21 x 1 inch (Two-Thirds size). Compared to traditional knives you need not spend a lot of time and energy to cut something tough or huge. With an electric knife, you will be able to get your work done in a short time and they are on point. Cuisinart CEK-30 Electric Knife, Black. You don’t have to spend time doing all those hard work to crush garlic. 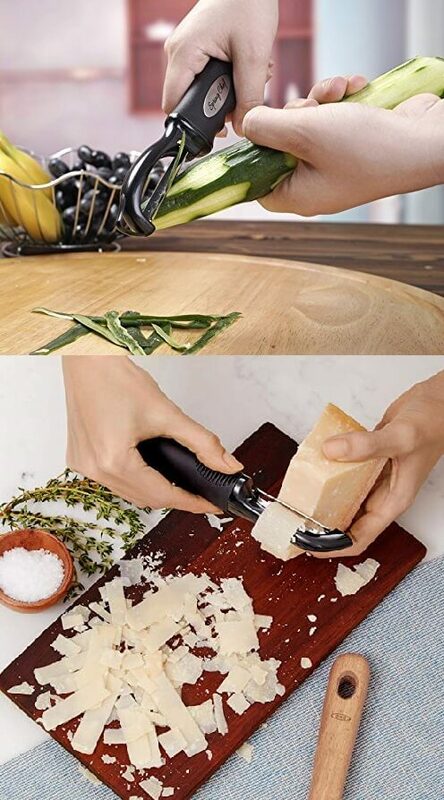 Rather purchase the garlic crusher and it will ease your work and save time. Similar to citrus press, you have to place the garlic and press you will get crushed garlic with juice. This is one of the must-haves kitchen item in every kitchen. ORBLUE Garlic Press, Stainless Steel Mincer and Crusher with Garlic Rocker and Peeler Set. OXO Good Grips Soft-Handled Garlic Press. Alpha Grillers Garlic Press and Peeler Set. 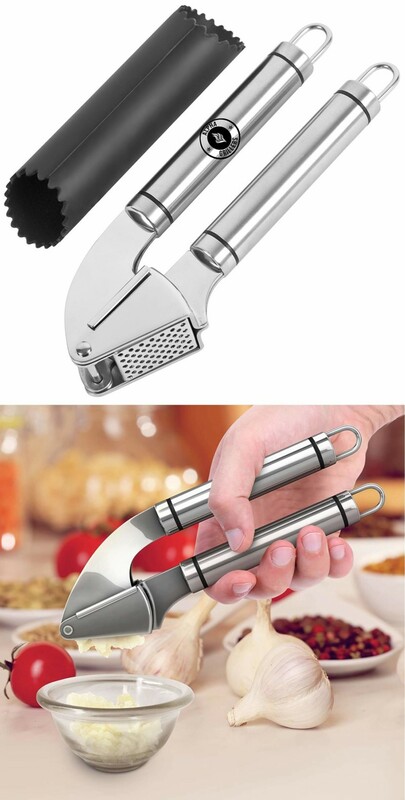 Kitchen Aluminium Garlic Press set with Silicone Tube Roller, Multifunction Cooking Tools by Leeseph. This is a great product because you will be able to complete your work in a mess-free way. So, you wouldn’t have to spend time in the clean-up process. In fact, you don’t have to use your hand so it will save water as well as the time that you spend walking to the sink to wash your hands. With the help of stand mixer, you can prepare your favorite dish in a short time. 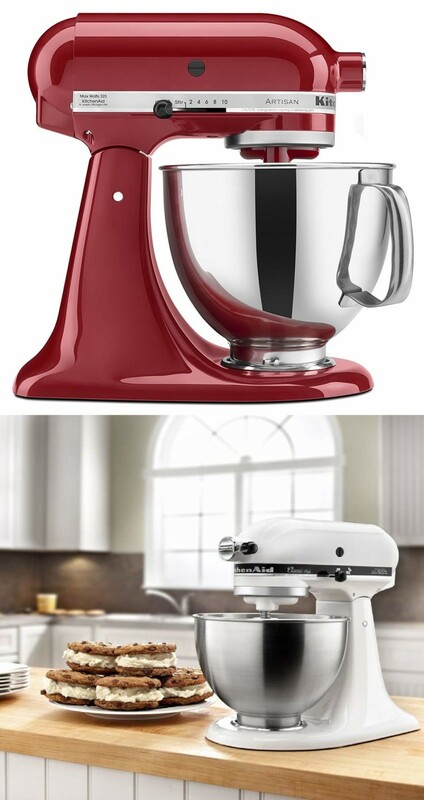 KitchenAid KSM150PSER Artisan Tilt-Head Stand Mixer with Pouring Shield, 5-Quart, Empire Red. Home use or commercial use 7, 10 Liters electric stand food mixer, planetary cooking mixer, egg beater, dough mixer machine. If you want to purchase something useful, you should purchase this product because it will save the time that you would have to spend on cleaning. You wouldn’t be getting splatter burns if you have this product at home. 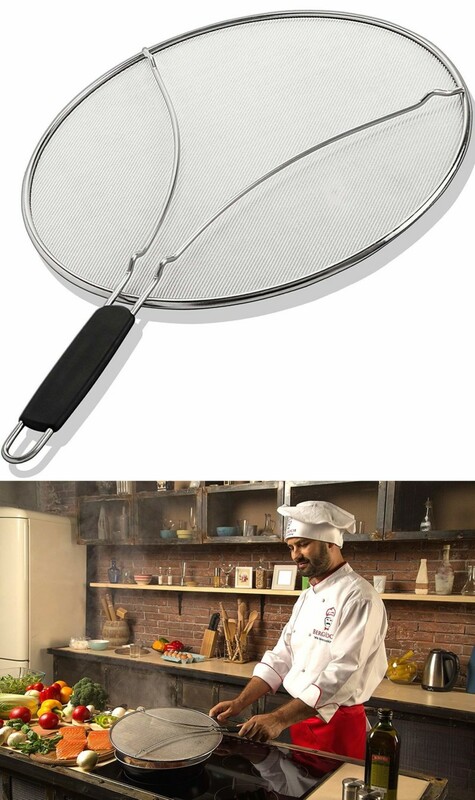 Grease Splatter Screen for Frying Pan 13″ – Stops 99% of Hot Oil Splash – Protects Skin from Burns – Splatter Guard for Cooking – Iron Skillet Lid Keeps Kitchen Clean – Stainless Steel. Most people use the full-size ones because they think it is helpful. But, if you have a small family, how can it be helpful? Let alone small families, if you have to prepare a quick small meal you would have to mess with the full-size chopper. So, get one of the mini chopper to save time and energy. In fact, you can chop an onion without making a mess. Hamilton Beach (72850) Food Processor Mini Chopper, 3 Cup, Electric. BLACK+DECKER 1.5-Cup Electric Food Chopper, Improved Assembly. Well, this cannot be categorized under kitchen gadgets and utensils, yet, this is definitely one of the essential kitchen items. How can you save time by using an Apron? Of course, you can. If you wear an apron with a large or few pockets you will be able to store necessary items to prepare a meal such as a spoon, fork, and so on in the pocket. Yet, be careful when handling with a knife. 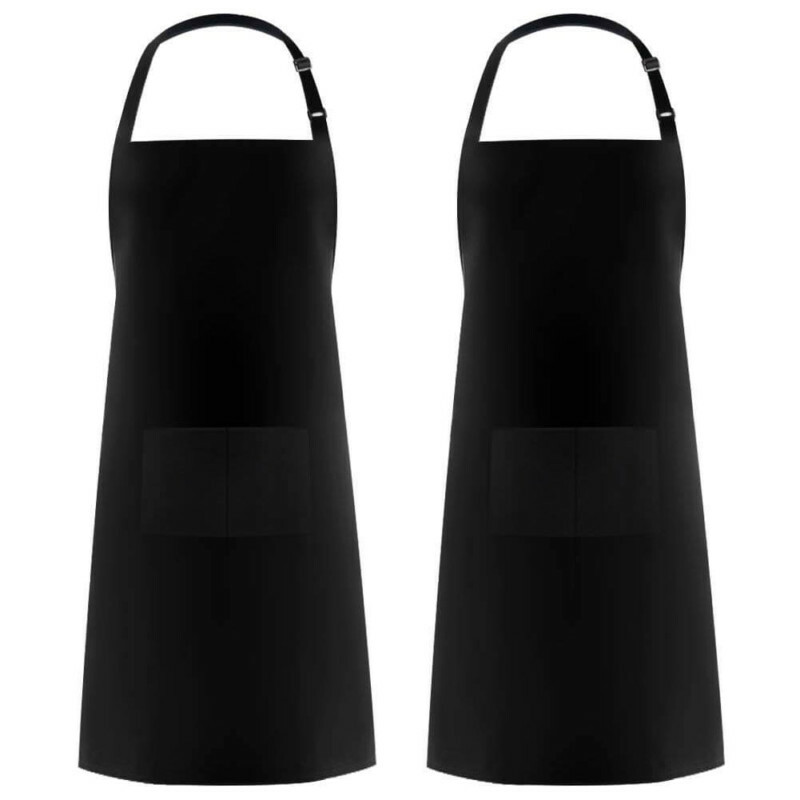 Syntus 2 Pack Adjustable Bib Waterdrop Resistant with 2 Pockets Cooking Kitchen Aprons for Women Men Chef. Just imagine, how long will it take to cut an egg in equal slices? Pretty tough. In fact, you might piss off because it will test your level of patience. 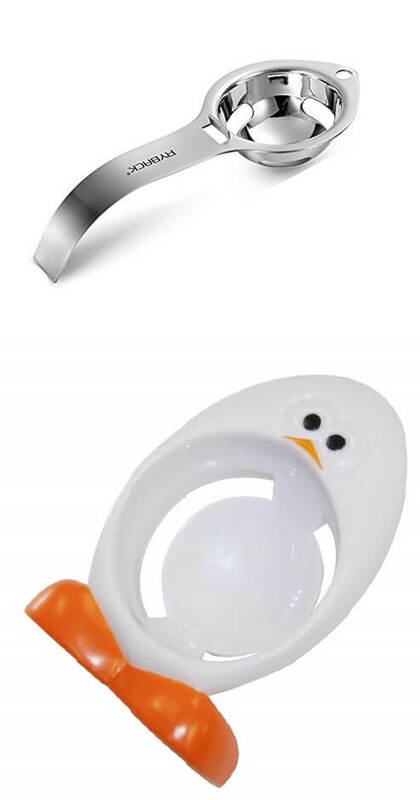 In such instance, Egg cutter will be the right solution. You do not have to spend much time or effort. You just have to place the egg in the middle and press so the thick lines on the lid will cut the egg into equal slices. OXO Good Grips Egg Slicer. Egg Slicer with Stainless Steel Wires. This is an incredible essential kitchen tool that you will love having in your kitchen. If you are a busy or lazy person, you need to buy one of these. You will only have to spend 5 minutes to prepare the food and you are done. 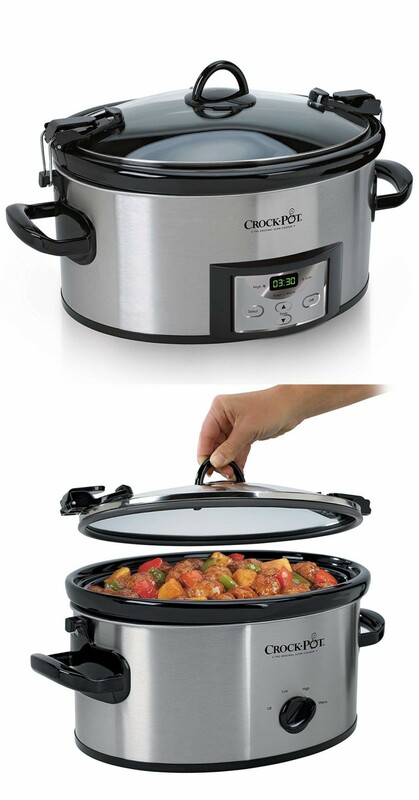 Crock-Pot 6-Quart Programmable Cook & Carry Slow Cooker with Digital Timer, Stainless Steel. Crock-Pot SCCPVL600S Cook’ N Carry 6-Quart Oval Manual Portable Slow Cooker, Stainless Steel. This is another kitchen gadget that helps you save time. There is no need for additional fat and even without it, you will be able to cook your food. The food that you prepare will not stick to the pan, so you wouldn’t have to spend time cleaning it. 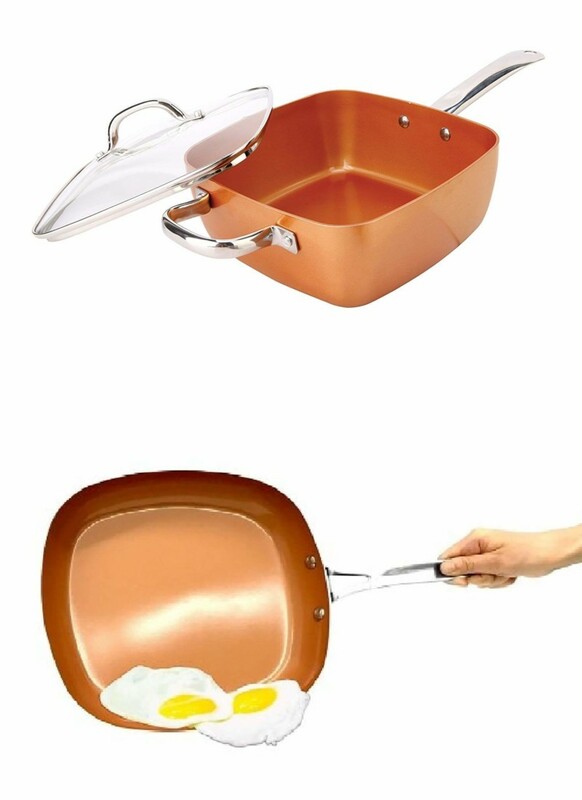 Non-Stick Copper Titanium Chef 5 Piece 9.5″ Square Pan Set. Gotham Steel 1752 Ultimate 15 Piece All in One Chef’s Kitchen Set with Non-Stick Ti-Cerama Copper Coating – Includes Skillets, Stock Pots, Deep Fry Basket and Shallow Square Pan. If you have been cooking you will know that dicing and slicing are time-consuming. This tool is to save time in dicing and slicing. With a slight pressure, you will be able to cut any food for different purposes in a short time. Mueller Austria V-Pro Multi-Blade Adjustable Mandoline Slicer and Vegetable Julienner with Precise Maximum Adjustability. 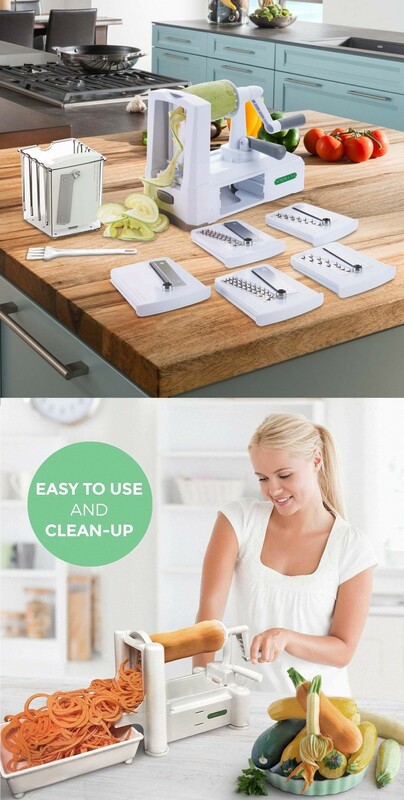 Adjustable Mandoline Slicer with Spiralizer Vegetable Slicer. 27. Grape and tomato slicer and cutter. If you are preparing a salad you will have to slice or cut fruits like grape or tomato. Imagine the process of cutting, it will be messy and time-consuming. You do not have to worry about the mess and time waste if you have this kitchen tool. You can halve tiny fruits and vegetables with the help of this product and reduce the prep time. C-Pioneer Grips Grape Slicer Tomato & Cherry Cutter Salad Vegetable Fruit Cutter Tools. Rapid Slicer – Food Cutter – Slice Tomatoes, Grapes, Olives, Chicken, Shrimp, Strawberries, Salads, and More In Seconds. 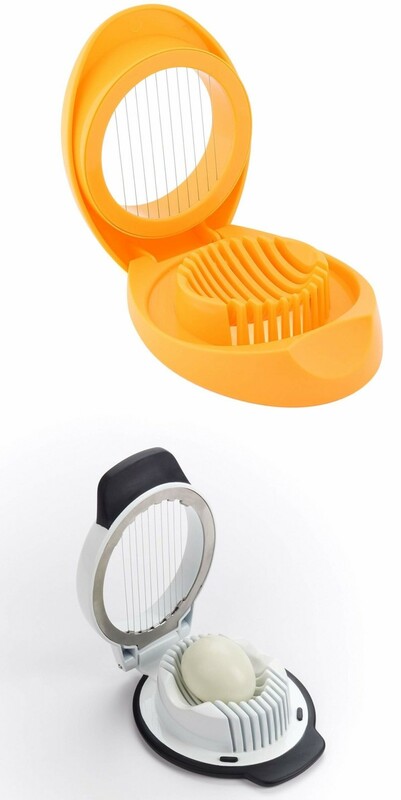 Non-Slip Gadget Holder for Slicing All Different Foods Easily. 28. Oil and Vinegar Mister. This is a flexible environment-friendly product. You can reuse this product, so you are helping the environment. Anyway, you don’t have to take two bowls, a spoon, and other stuff to prepare vinaigrettes. 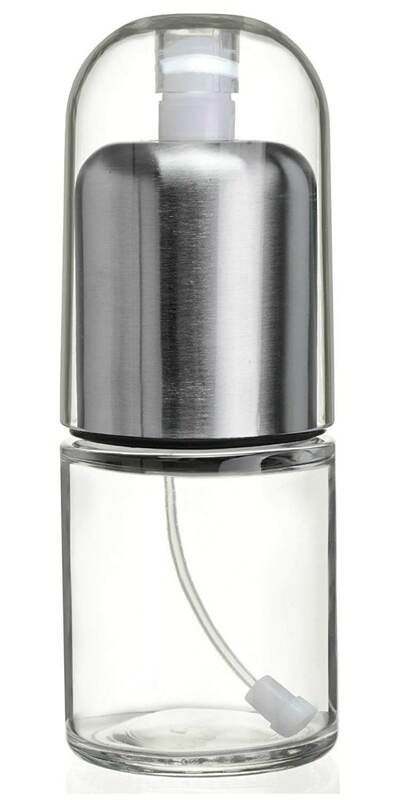 Instead, you can simply purchase this kitchen product and this will mix vinegar and oil evenly to prepare vinaigrettes. In fact, you don’t have to trouble to measure the amount. If you need oil, vinegar, or both; be it any need this product is ideal to save time and energy. Premium Olive Oil Mister and Cooking Sprayer with Clog-Free Filter and Glass Bottle. If you want to spend less time in the kitchen and more time in the living room with your friends and family, purchase this cutting tool. 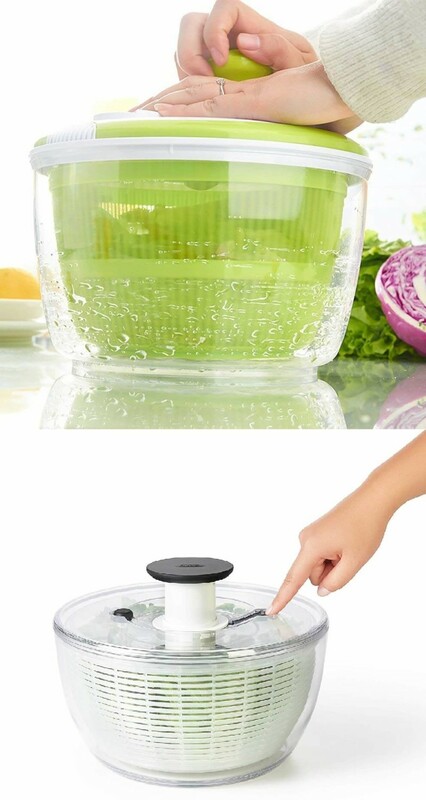 This is a Japanese product that offers you the easiest ways to get spiraled vegetables. You can use this product as an onion slicer, zoodle maker, potato maker, and other slicers. Spiralizer Ultimate 7 Strongest-and-Heaviest Duty Vegetable Slicer Best Veggie Pasta Spaghetti Maker for Keto/Paleo/Gluten-Free, with Extra Blade Caddy & 4 Recipe Ebook, White. Spiralizer 5-Blade Vegetable Slicer, Strongest-and-Heaviest Duty Spiral Slicer, Best Veggie Pasta Spaghetti Maker for Keto/Paleo/Gluten-Free, Comes with Container & 4 Recipe Ebooks. Folding 5 Blade Vegetable Spiralizer Veggie Pasta & Spaghetti Vegetable Spiral Slicer Carrot Zucchini Noodler Maker Zoodle Maker. 30. Adjustable Apple Slicer and Corer. If you are following any diet or if you want to prepare a quick dessert, this kitchen gadget will be an ideal choice. By using this tool you will be able to slice apples in any form needed. It can be for cooking, baking, or snacking. You just have to push it downwards and the tool will cut the apple in the required shape. Plus, you can select whether you need 8 or 16 pieces. 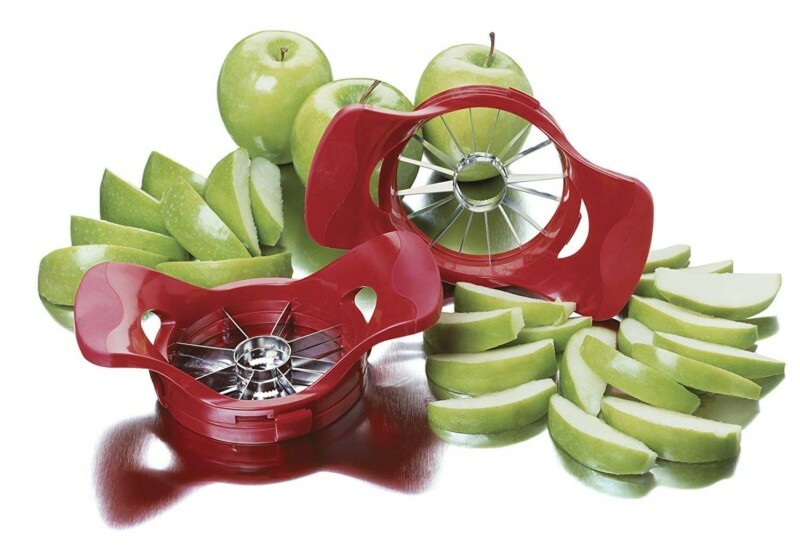 Amco Dial-A-Slice Adjustable Apple Corer and Slicer. Durable Heavy Duty 3-in-1 Apple Peeler Fruit Slicer with Vacuum Suction Cup Base/Peeler Stainless Steel Blade Apple Fruit Vegetable or Potato Peeler Tool Creative Home Kitchen. 31. Cherry and Olive Pitter. Of course, you must pitter olives and cherries before consuming it, but it is one of the time-consuming activities. With the use of this product, you will be able to pitter without spending too much time. You wouldn’t have to clean up the mess created because this tool has the feature to guard against dripping juice. 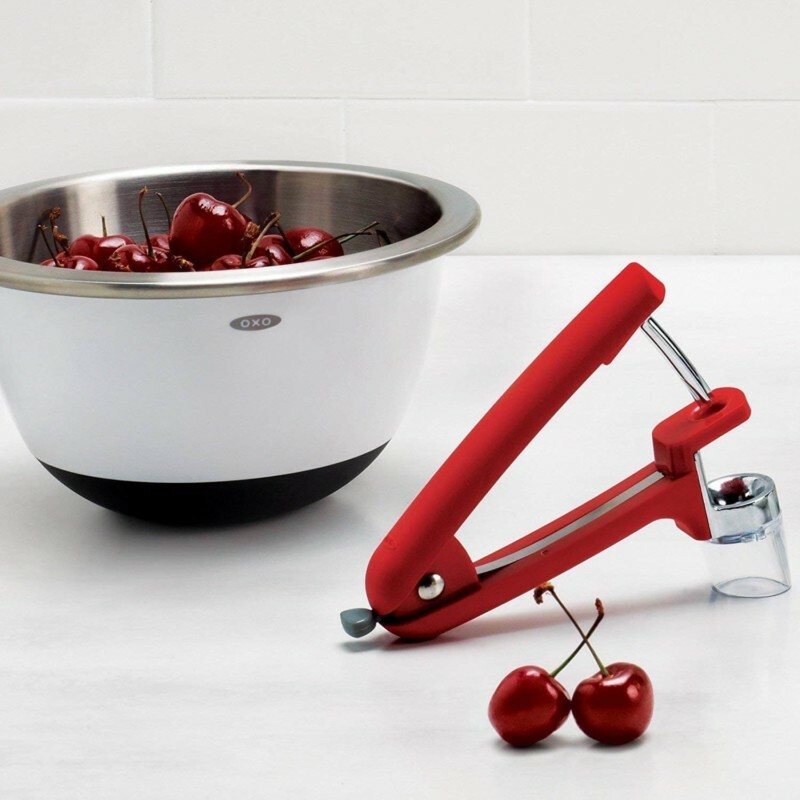 OXO Good Grips Cherry and Olive Pitter. You might love to prepare restaurant-style food. So, in order to make those you need to have the right tool that helps you prepare the ideal dish while saving the time. If you purchase this shredding tool you will be able to shred meat in a few seconds, rather than doing it by your hands. Fusionbrands ShredMachine Better than Bear Claws Meat Shredder for Pulled Pork, Beef, and Chicken, Dishwasher Safe. 33. 5 Blade Herb Scissors. 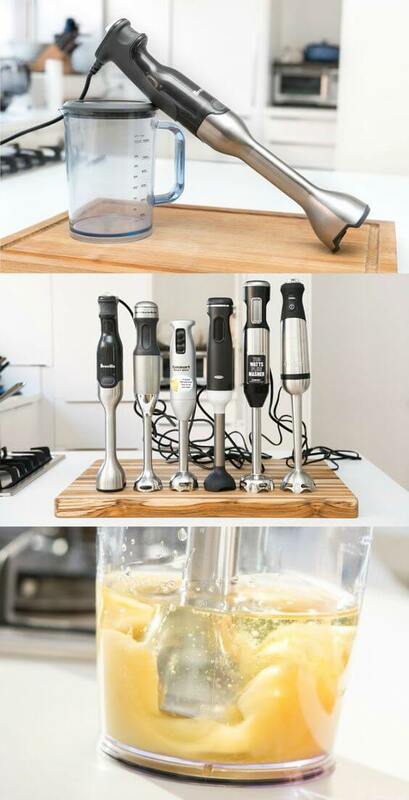 This is one of the coolest tools that you must have in your kitchen. You can cut aromatic herbs faster than your average speed. Also, note that you wouldn’t damage any leaves or stems. So, this is a must-have in every kitchen. Herb Scissors Stripping Multipurpose Tool – Salad Cutter Herbs Stripper Shears Stainless Steel 5 Blade Gadget Fringe Chef Scissor Shear with Cleaning Brush Fun Kitchen Gadgets Tools Best Gift Idea. If you use the normal knife to spread butter on the slice of bread, you will have to exert some pressure and time because the butter will stick to the edge of the knife. Instead, if you have the serrated butter knife you will be able to quicken the process and have a mess-free application on the toast. It is clear that you can save time using this product. A Multi-function DVPL Stainless Steel Butter Knife with a Serrated Edge, Shredding Slots, a Butter Scooper and an Ergonomic Handle. 35. 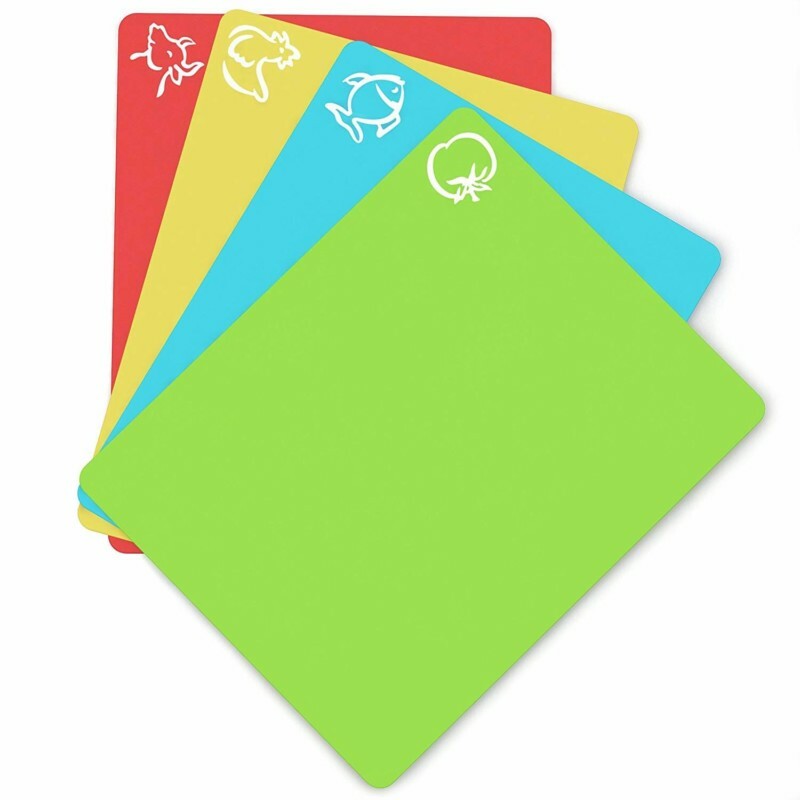 Silicone Nonstick Baking Mat. We know the time and effort you spend on scrubbing your baking sheets. This product is a life-saver if you don’t want to spend time in scrubbing. In fact, the burnt sugar will fall off once it is on. If you want to clean this product you should use soapy warm water. Or you can use the dishwasher. You can save a lot of time by having this product in your kitchen. This is an amazing product that you will love having in your kitchen. You will have to spend more than 5 minutes to spread butter if you want to prepare a quick toast because it will be rock-hard. So, to save time you can purchase this product that absorbs heat from the hand and sends it the rock-hard food to soften up. Hence, quick meal is not impossible anymore. This is a handy kitchen tool that offers a wide range of benefits. 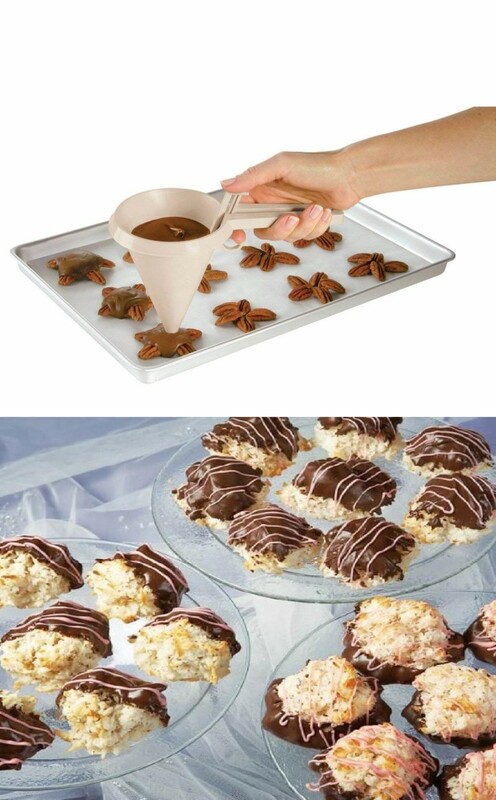 You can pour from cupcake batter to pancake mix and more. This kitchen gadget, actually, makes you work easier and effective. Also, how can you save time? Simple, this product doesn’t require much time for cleaning, so you can save time when cleaning the product. This is an adorable tool that you can use in order to squeeze lime or any other juice into a bottle without wasting any of it. 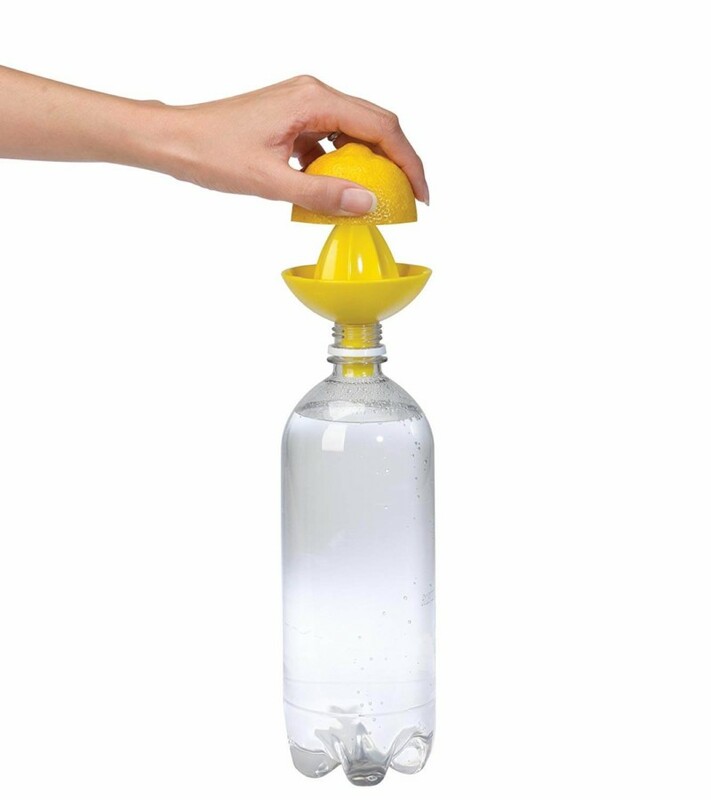 If you squeeze lime or any other juice into a bottle without this kitchen gadget it will spread and you will waste some of it, so it is easier and effective. You save time because there is no need for cleaning up. Umbra Sombrero Citrus Juicer, Lemon. 39. 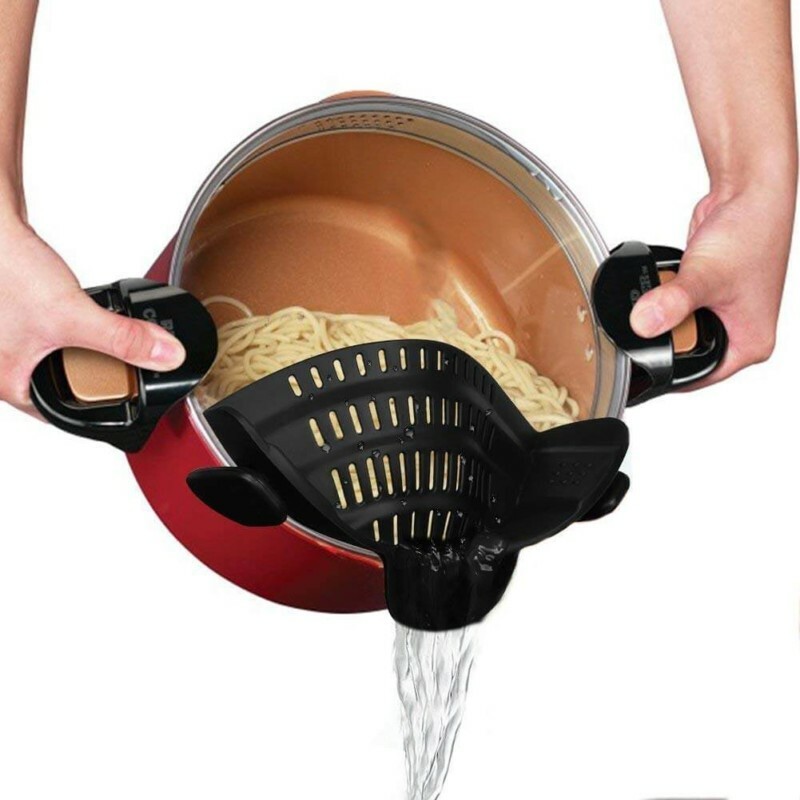 No Break Pasta Pot and Strainer. This is a great product because it helps you cool pasta without breaking them into two. You don’t have to be careful which means you will spend more time preparing paste because you have to be careful. Instead, purchase this kitchen vessel and it will come in handy. Silicone Food Strainer Hansfree Snap Colander for Spaghetti, Noodles, Pasta, Fruit, Ground Beef- Adjustable Food Grade Filter for Pot Pans Bowls. 40. Silicone Food Pod Cooking Basket and Strainer. You would regret not having this product in your kitchen so long. This is one of the essential kitchen tools that one must have in the kitchen. So, this helps to gather and drain foods that are in boiling water. Yes, without burning your hands. No more time wastage in fishing around. Silicone Food Pod Cooking Basket and Strainer Mesh Bag. For a baker and for a home cook, this will become one of the favorites because it saves time while being efficient. You don’t have to spend time measuring the ingredients using measuring cups and spoons. The whole process has become easier with a Digital Scale. Don’t forget to have this in your kitchen baking set. Digital Kitchen Scale/Food Scale – Ultra Slim, Multifunction, Easy to Clean, Large Display. Ozeri ZK14-S Pronto Digital Multifunction Kitchen and Food Scale, Elegant Black. Another kitchen utensils and equipment that you must not miss if you want to save time in cooking. This is also an effective kitchen product that makes cooking faster and hassle-free. In fact, a pressure cooker cooks faster than boiling and baking. You do not have to spend hours cooking on the stove if you have a rice cooker. 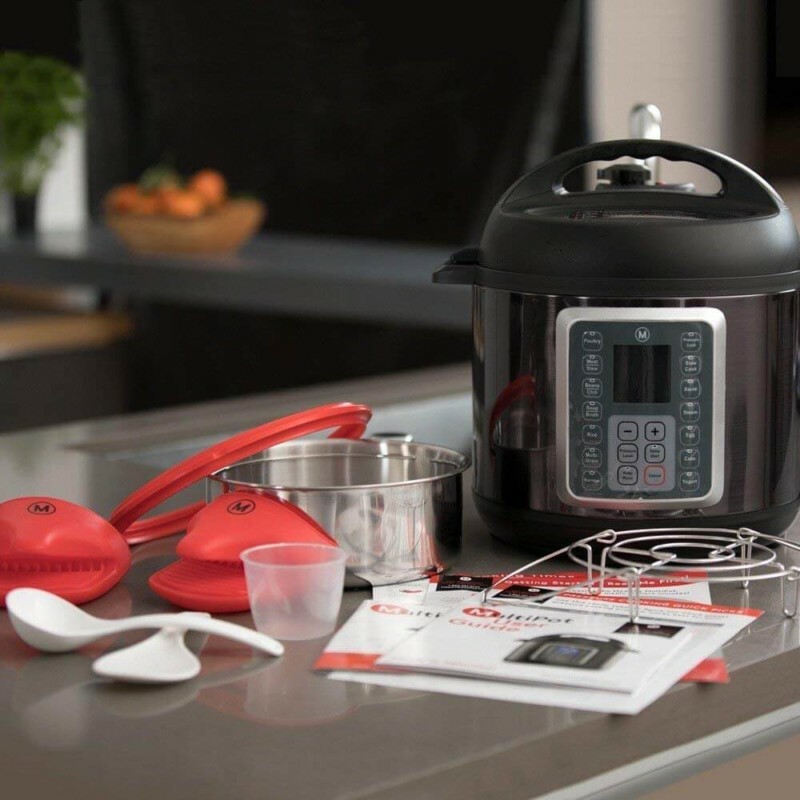 Mealthy MultiPot 9-in-1 Programmable Pressure Cooker. This is a handy kitchen gadget that you will love having in your kitchen. It separates egg yolk in no time and you will be amazed by its super-fast process. Unlike, the typical way of separating egg yolks you don’t have to spend a lot of time while creating a mess that needs even more time for clean-up. MSC International JOEI Yolky 96035 Egg Separator. RYBACK Stainless Steel Egg White Yolk Filter Separator Cooking Tool Dishwasher Safe Chef Kitchen Gadget. If you have been spending too much time in chopping vegetables, it is time to find a solution. The best solution is to purchase this top rated kitchen gadget that helps you chop vegetables in a few minutes. Also, as you can enjoy the speedy cleanup feature this is an essential kitchen tool. 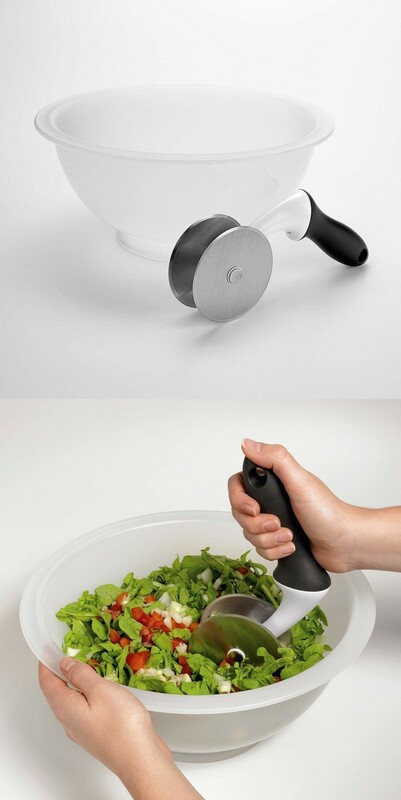 OXO Good Grips Salad Chopper and Bowl. 45. Flexible Plastic Cutting board. This quickens the whole process of cooking because you don’t have to use a knife or spoon to pour the items into a bowl. You just have to cut and shift the ingredients on the cutting board into a bowl. You can also enjoy the feature of the safe dishwasher. This is one of the essential kitchen tools. Extra Thick Flexible Plastic Cutting Board. You can perform many tasks with the use of kitchen shears. This is a sharp tool so use it carefully. Also, this is a dishwasher-safe tool. Because of all these features, you can save time and energy. J.A. Henckels International Kitchen Shears. OXO Good Grips Spring-Loaded Poultry Shears, Black. If you want to bake cookies in a lot, you must use the cookie dropper. 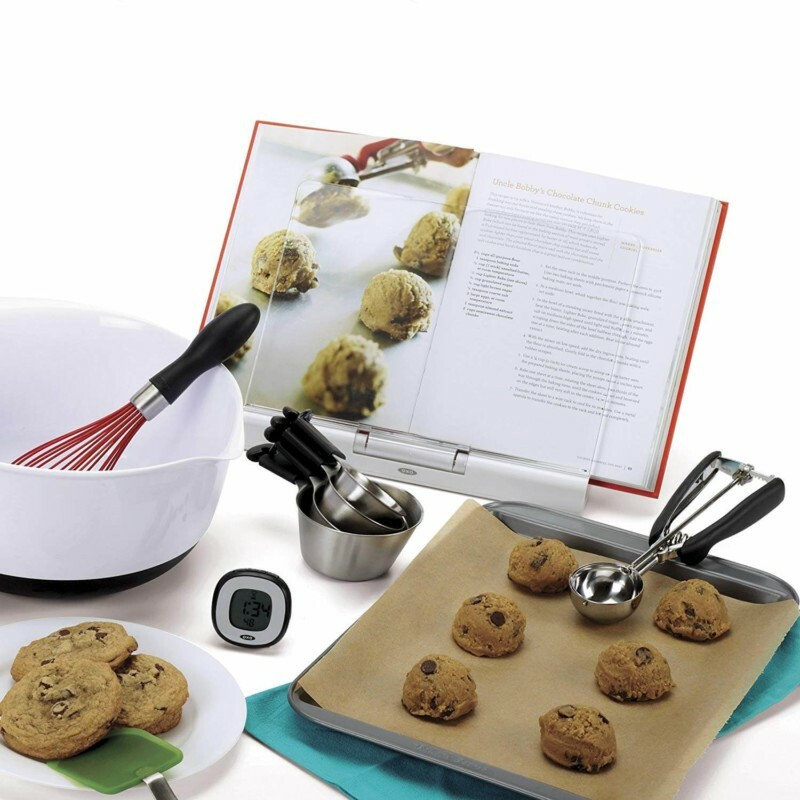 This kitchen tool helps to prepare uniform cookies within a short time than using a spoon to drop the dough. OXO Good Grips Medium Cookie Scoop. No more knocking on the kitchen top, no more holding under warm water, or anything if you have the jar opener to open the jars. This is one of the best kitchen tools to save time. OXO Good Grips Jar Opener with Base Pad. EZ Off Jar Opener For All Jar Sizes. 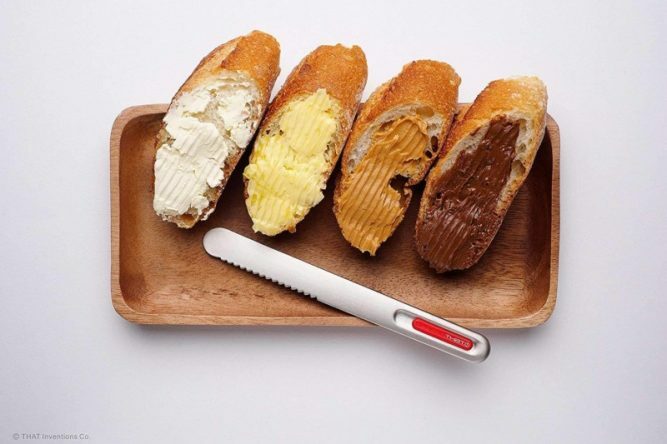 If you are a fan of cheese sandwiches, you must have this tool to ease and quicken your work. 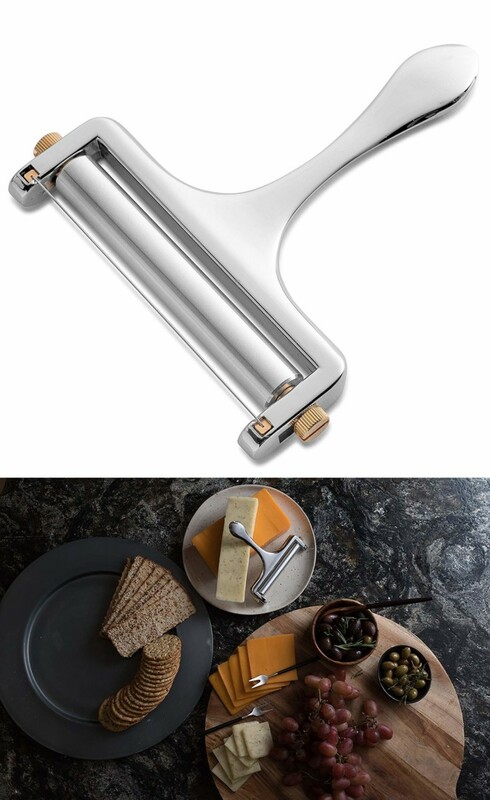 You will be able to slice cheese in the same width with the help of this kitchen tool. Stainless Steel Cheese Knife Butter Cutter Cheese Dough Cutters Plane Grater Slicing Cheese Tools Kitchen Gadget. Bellemain Adjustable Thickness Cheese Slicer. 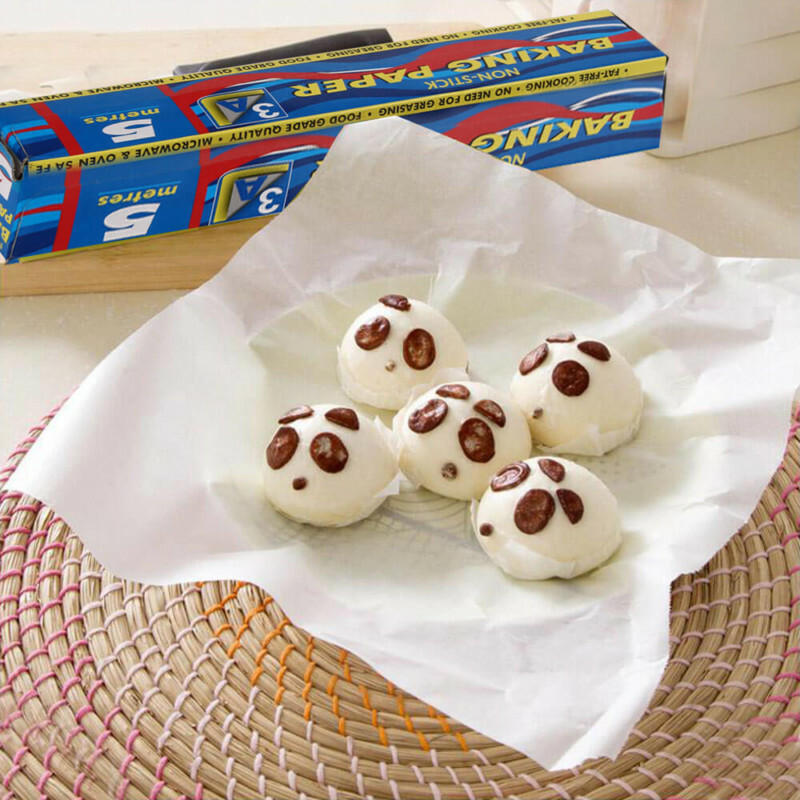 Finally, parchment paper is one of the home utensils that saves times through less scrubbing and cleaning up. 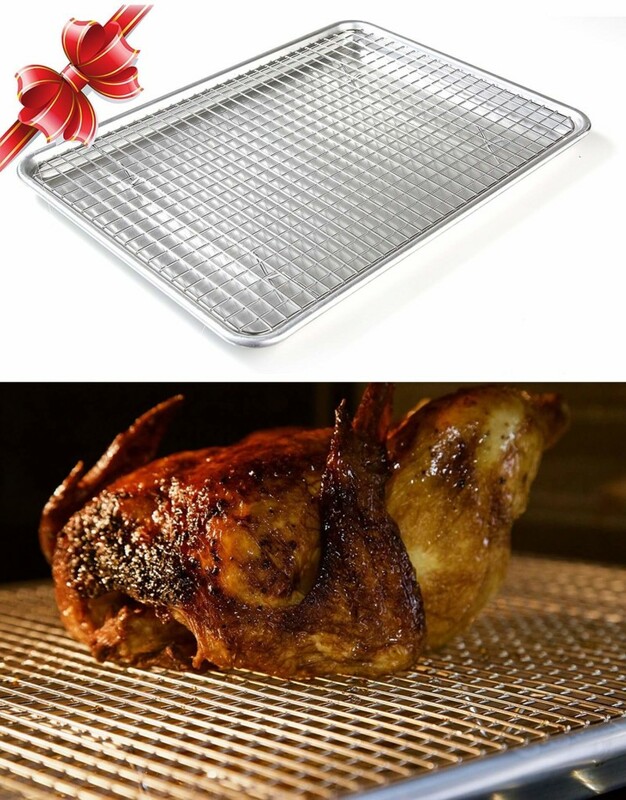 As the parchment paper has high resistance and density, it will have higher non-stick components. Hence, you can clean it in less time. Kirkland Signature Non Stick Parchment Paper, 205 sqft. 5M Non-Stick Baking Paper Silicone Oven Baking Mat Pad Parchment Paper Pan Liner Cookie Sheet DIY Food Grade BBQ Use. Even for the ones who don’t like cooking, the post will make them try because they don’t have to spend a lot of time preparing a meal or two. Purchase efficient and effective kitchen and home utensils to save time and energy. Joyous cooking! 57 Exciting Christmas Cake Ideas. 70 Yummy, Easy and Creative Halloween Food Ideas.